“[Bitcoin] is a remarkable cryptographic achievement. The ability to create something which is not duplicable in the digital world has enormous value.” – Eric Schmidt, former CEO of Google. “In terms of cryptocurrencies, generally, I can say with almost certainty that they will come to a bad ending … When it happens or how or anything else I don’t know.” – Warren Buffett, CEO of Berkshire Hathaway. “Virgin Galactic is a bold entrepreneurial technology. It’s driving a revolution. And bitcoin is doing just the same when it comes to inventing a new currency.” – Richard Branson, founder of Virgin Group. “It’s a fraud.” – Jamie Dimon, CEO of JPMorgan Chase. You get the idea of how top players influencing the global economy view the cryptocurrencies. At the same time, the crypto market has already grown so big that the governments have become concerned with its effect on the economic trends and begun to introduce regulations in an attempt to bring cryptocurrencies in the legal field. Of course, the finance industry is not standing aside, as it is directly affected by the growth of the crypto market and the increasing adoption of cryptocurrencies. 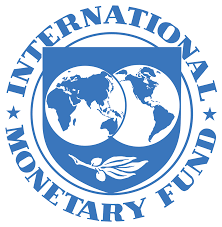 At the same time, there is still a lot of controversies, as, on the one hand, cryptocurrencies, by their nature, are a global and international asset, and, on the other hand, there is no unified approach to them by national financial systems. Let’s see what the traditional banking industry thinks of cryptocurrencies. Medium of exchange. Money is used in transactions as a means of exchange as opposed to barter transactions where goods are directly exchanged at their value. Due to their unregulated status, cryptocurrencies can be used as a medium of exchange only in some cases to purchase only certain goods. Store of value. Money should be able to retain value over time which makes it usable as a medium of exchange. This is the only criterion that cryptocurrencies fulfill so far, as they can be stored and accumulated to be used later for payment. Unit of account. In this function, money serves as the measure of the value of other goods and products. In other words, money is used to determine the price of any goods. So far, cryptocurrencies have been too volatile to be an effective unit of account, thus they do not match this criterion, either. While the United States was the first country ever to impose truly restrictive regulations concerning crypto technologies (we are talking about the US SEC regulation on ICOs regarding security tokens issued during an ICO as securities), they still do not see cryptocurrencies as anything that may affect the financial stability. According to Lael Brainard, a Federal Reserve Governor, “the still relatively small scale of cryptocurrencies in relation to our broader financial system and relatively limited connections to our banking sector suggest that they do not currently pose a threat to financial stability.” At the same time, the Federal Reserve recognizes the innovational technology that is behind cryptocurrencies and is determined to follow its progress. 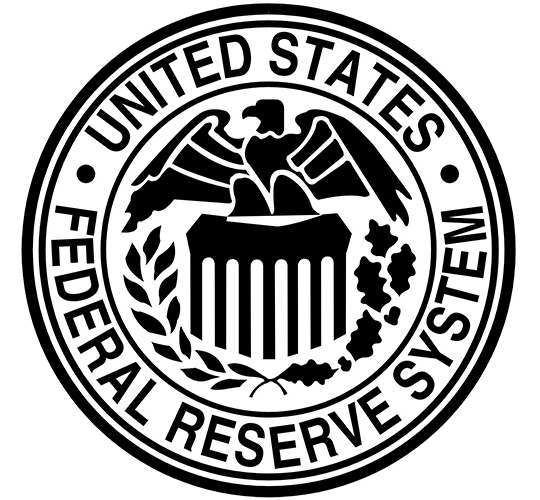 Moreover, in June 2018, the Federal Reserve added the price data of Bitcoin, Litecoin, Bitcoin Cash and Ethereum to its Federal Reserve Economic Database (FRED), thus recognizing these four cryptocurrencies. The data is obtained from the Coinbase exchange and updated daily. This recognition is the first step towards the legitimization of cryptocurrencies in the US, and has earned a very positive feedback. Cryptocurrencies are not issued by any authority, thus they are not backed by any government agency. On the contrary, all fiat currencies are backed by the respective government authorities. Cryptocurrencies are not generally accepted. The cases when cryptocurrencies can be accepted as payment are rather limited. There is no legal protection for users. Due to the unregulated status of cryptocurrencies, the users are not protected against hackers and scammers. Cryptocurrencies are highly volatile. The extreme volatility prevents them from becoming reliable stores of value. At the same time, the ECB strongly insists that cryptocurrencies must be regulated due to their high risks. Proper regulation can prevent crypto money from becoming a money-laundering tool. Besides, regulatory measures can introduce a certain protection for users. While banks in the US and EU are mostly cautious about cryptocurrencies, China again voices a rather harsh verdict. The Chinese government already managed to shake the crypto market by banning all ICOs and crypto transactions. The state bank – the People’s Bank of China – follows suit with a statement that they will not accept it as money. “We do not currently recognize Bitcoin and other digital currencies as a tool like paper money, coins and credit cards for retail payments. The banking system does not accept it.” – this is how Zhou Xiaochuan, Governor of the People’s Bank of China, expressed the Bank’s view on cryptocurrencies. The Chinese financial authorities firmly believe that cryptocurrencies carry a high risk for the national economy and may have a “negative impact” on their users. Thus, the crypto market needs close monitoring and strict regulation. In June 2018, the Prudential Regulatory Authority (PRA) which belongs to the Bank of England issued a warning to the top management of financial institutions about the risks related to cryptocurrencies. In no uncertain terms, the Bank of England advised that the crypto assets “represent a new, evolving asset class with risks which should be considered fully by the board and highest levels of executive management”. This warning came in response to the frequent attempts at cryptocurrencies that the British financial institutions have been taking lately. The PRA explicitly mentioned the reputational risks that the management of financial institutions are going to face if any crypto-related opportunities are used without the due diligence. Besides, any institutions planning to engage in any crypto operations should inform their supervisory authority about such plans. At the same time, Mark Carney, Governor of the Bank of England, said he was “open-minded about the prospect of a central-bank-issued digital currency”. However, he does not see any progress in this direction in the nearest future, as, in his opinion, cryptocurrencies still do not function as money. In addition, the BIS believes that cryptocurrencies are not sufficiently scalable to serve as a proper medium of exchange. The growing number of transactions can overload the network causing long processing delays. While the BIS is open to the emerging technologies and ready to research and explore the new solutions capable of optimizing the blockchain performance, it is still concerned about the high risks of wide cryptocurrency adoption. Are the banks being prudent or simply conservative? You will be truly hard-pressed to find a state bank that is open and supportive towards cryptocurrencies. The current state of things shows that the banks have taken the wait-and-see stance as they expect the proper unified regulation to be adopted. For the time being, the banks prefer to stay on the safe side and not to embrace the crypto assets too closely. Of course, the stability of the economy and the user protection should always come first, and this is where the crypto causes the most controversy. For this reason, the national banks are warning users against cryptocurrencies and are reluctant to issue any positive statements on them. At the same time, the crypto market continues to grow and evolve. It seems to thrive despite any measures taken to restrict or regulate it. It adapts easily and continues to attract users all over the globe. Moreover, it seems to make the authorities adapt to it as it develops and finds new unique applications. While all major governments and financial institutions are trying hard to fit the crypto into their age-old laws, the crypto establishes the laws of its own. Anyway, with all its drawbacks and bottlenecks, blockchain is changing the world. Many teams are working on making it faster, lighter, more secure and cost-effective. Some solutions, such as the Lightning Network, have already shown their superior performance. With the development of blockchain, the fintech industry may soon see some fundamental changes with the global cryptocurrency adoption no longer a myth. The banks may change their opinions very soon. Let’s follow the fintech news together. Subscribe to our blog not to miss the stories, researches, and accounts of the latest events in the blockchain sector. If you have a blockchain project in mind, contact us for a detailed discussion – we will find the most optimal solution for your idea! Free Stock Trading Apps Like Robinhood: How to Develop Them?